The lawyers of Worby Vecchio Edelman, LLP fight diligently on behalf of all their clients. We believe that the people of White Plains should have strong legal advocates on their side, which is why we are proud to be one of the leading personal injury law firms and legal teams in the area. We've been chronicling the different stages of personal injury cases on our blog for the last two months. Let's continue this look at the steps in a personal injury case by considering the role of legal settlements. In basic terms, a legal settlement is a type of resolution to a case before it goes all the way to trial. This means there is no need to have a matter settled by a jury before a judge. Instead, the defendant will typically offer the plaintiff the chance of settling out of court. In a legal settlement, the plaintiff will agree to stop pursuing further legal action against a defendant. In exchange for this, the defendant will offer the plaintiff some sort of monetary reward. A defendant may also agree, in addition to the monetary payment or in lieu of payment, to perform an agreed upon action. The vast majority of personal injury cases are settled outside of court between the plaintiff and defendant. The Expense of a Trial – Going to trial can be quite costly. Both the plaintiff and defendant can avoid the legal expenses by setting before the trial even starts. The Length of Trial – Selecting a jury and going through a full trial can take a long time, especially if there is a mistrial. Time is money, so settling out of court cuts down expense and overall drain on everyone's time. The Stress Associated with Trials – Going to trial can be very stressful, especially if you are called to testify and have to endure the examination process. Settlements mean less stress. Protecting Your Privacy – During trial, court documents become part of the public record, which means that personal matters may wind up being out in the open. For certain cases in which privacy trumps a trial, settlements are a better option to consider. Certainty That a Jury Cannot Provide – There is no guarantee how a jury will make their decision. Taking a settlement means avoiding the chance that the jury will find against you or that they will be hung and a mistrial will be necessary. In some cases in which the public good may be improved by going to trial, it may be beneficial to you and to society at large to move forward with a case. This can lead to various reforms and new laws being passed to prevent serious accidents and injuries. 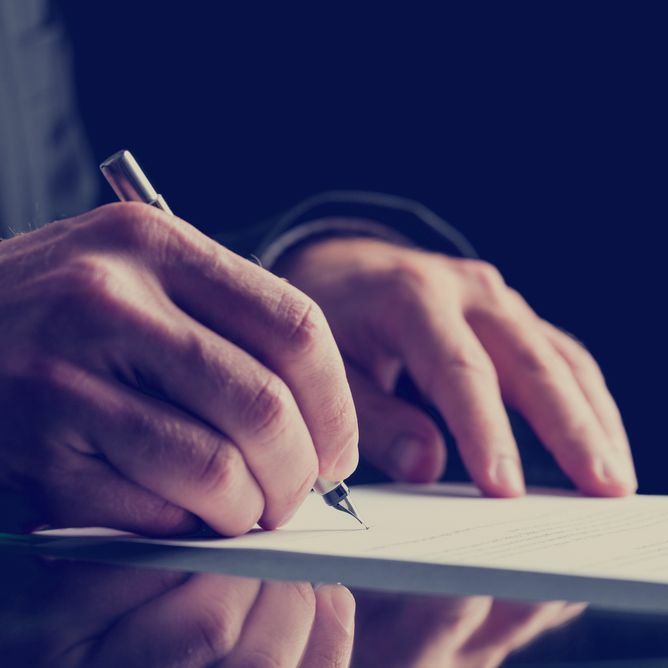 Our lawyers will discuss these matters with your in greater detail during the consultation process, helping you make a decision with which you can feel confident. To learn more about legal settlements and whether or not you should accept a settlement rather than go all the way to trial, be sure to contact our personal injury law firm today. The lawyers of Worby Vecchio Edelman, LLP will work closely with you, answering all of your questions and addressing all of your concerns.